The beautiful waters of St Vincent and Grenadines are lush and filled with tropical flora and fauna for all to enjoy. At Barefoot Yacht Charters, we are dedicated to keeping it that way. It is our goal to help reduce threats to our marine ecosystems by careful attention to boat maintenance and use. Many antifouling paints are harmful to marine life such as turtles, rays, fish, sea birds, shellfish. Even a small amount of toxic chemicals can easily disrupt their natural habit and reduce their life span. We believe it is our duty to help to preserve our sea and wildlife. 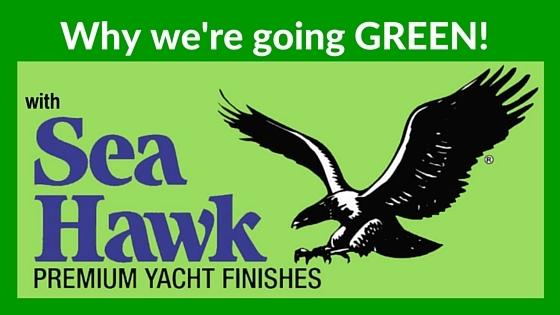 The new Sea Hawk Smart Solution is the next generation in antifouling technology. It is engineered to be the most effective environmentally friendly antifouling paint available. Smart Solution provides equivalent performance to traditional antifoulants, but utilizes completely METAL-FREE biocides resulting in no bioaccumulation in the environment. 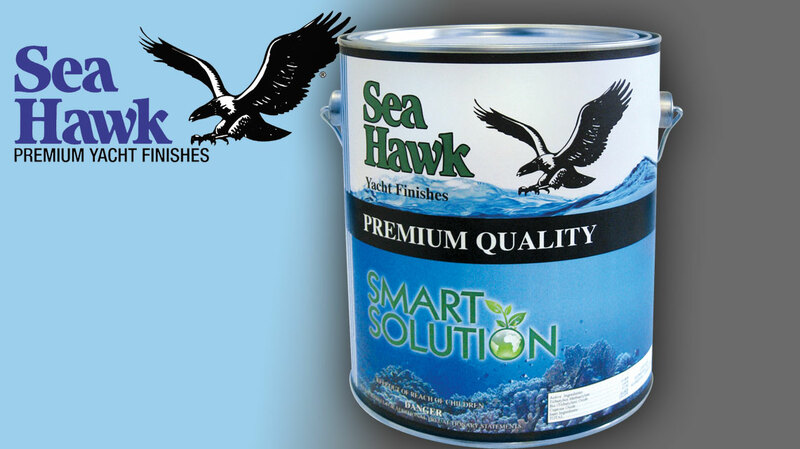 Sea Hawk have long been an industry leader in bottom paints and barefoot has used their products for sometime. Smart Solution is undergoing testing on our fleet with very promising results so far and will be fully employed through out our entire fleet by summer 2016. Philip Barnard, Managing Director of the Barefoot Yacht Charters and The Barefoot Group of Companies shared the company’s vision and it’s decision to introduce the new Smart Solution to the fleet. “The request for an environmentally friendly bottom paint was received by all other paint companies like asking for it to be day and night at the same time, it just could not be done. The addition of Smart Solution to the Sea Hawk product line came as a great comfort to us at Barefoot Yachts as we have been searching for an alternative to the poisonous bottom paints used in the charter industry for some years now. Smart Solution works with the environment instead of against it using nature to protect our boat bottom instead of trying to kill everything that comes close to it. This is another great leap forward for our Barefoot lifestyle”. Smart Solution is the next generation in antifouling technology. is engineered to be the most effective environmentally friendly antifouling paint available. Smart Solution provides equivalent performance to traditional antifoulants, but utilizes completely METAL-FREE biocides resulting in no bioaccumulation in the environment. The coating’s reaction to salt water creates a slick film that encapsulates the hull, providing enhanced speed and premium performance against growth. What to do? You want to spend your bareboat yacht charter vacation on a relaxing sail with Barefoot Yacht Charters in St. Vincent and the Grenadines, but you also want to jump up and party at Carnival. Our multi-island nation has rural Carnival activities which extend from mid-June to August in the Grenadines so you can enjoy the best of sailing, salt, sea and party! 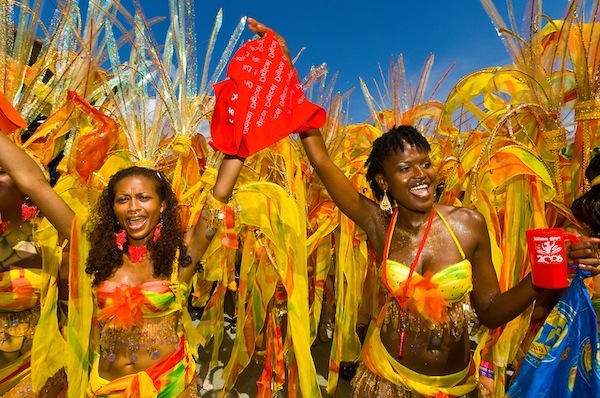 Canouan Carnival, a whole week of exciting shows and street parties from July 25 to August 1. Dazzle your senses and sweat out the stress at Carnival, then recuperate on a sail perhaps to another Grenadine island where more adventures await, for each isle has its own history and ambience. Or just stay on board and be lulled into a deep relaxation until it’s time to jump up again. Sailing in the Grenadines is line of sight sailing which means it is just short hop from one island to the next. You can enjoy the local ambience, festivities of Carnival in any capacity you choose. Whether you join in the celebrations or simply enjoy the culture and music from your yacht. You can have your perfect holiday, and Barefoot Yacht Charters can make it happen! Earn ASA (American Sailing Association) Certification during our Liveaboard Sailing Courses in the beautiful Grenadines. We offer One Week Basic, Catamaran and Advanced Coastal Cruising sailing courses. Already have Basic Certification? Barefoot Offshore Sailing School offers Weekend Courses which will take you to the next level. All this and a Caribbean vacation a lifetime! https://barefootyachts.com/beta/wp-content/uploads/sailing_to_the_sunrise-e1380413491796.jpg 524 1024 Marissa Nieves https://barefootyachts.com/beta/wp-content/uploads/barefoot-vectorized-final-300x99.png Marissa Nieves2014-04-10 18:49:232014-05-26 19:36:25Learn To Sail!